You pro-lifers are retarded. Not only will the planets animals and plants go extinct, there will be way to few jobs for humans!! WOW, telling someone to go kill themselves is against the law plus one of the most horrible things to say to someone whom is already suicidal and/or very depressed and trying to fix themselves/get better. So, if you say that again, I will politely ask where you live and call the police/FBI on you, you sick f**ker. Hypocrite!! As in you are never polite with your first comment on this meme. 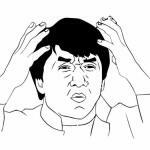 WTF did you just say!? 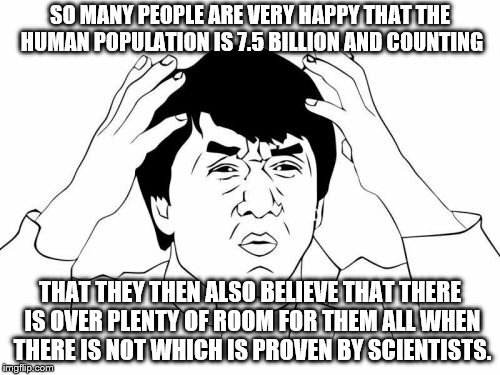 SO MANY PEOPLE ARE VERY HAPPY THAT THE HUMAN POPULATION IS 7.5 BILLION AND COUNTING; THAT THEY THEN ALSO BELIEVE THAT THERE IS OVER PLENTY OF ROOM FOR THEM ALL WHEN THERE IS NOT WHICH IS PROVEN BY SCIENTISTS.